Originally scheduled for March, this book was read by only a handful of book club members prior to the March meeting – and only a couple of those had finished the book. The attendees at the same meeting viewed a video about classical Athens featuring author Bettany Hughes that they raved about. Many since then have expressed interest in rescheduling the book discussion, and at the April meeting it was unanimously agreed that we do so. 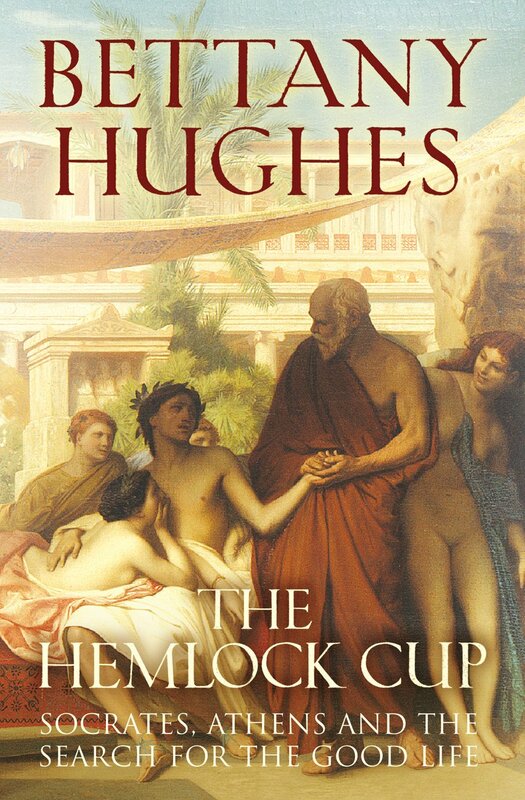 Consequently, the May 19 meeting will be devoted to the video, narrated by author Bettany Hughes, and a very preliminary discussion of The Hemlock Cup. The June meeting will be dedicated to discussing the book in depth. The Hemlock Cup is neither a quick nor shallow read. For these reasons, we recommend that you obtain the book promptly and begin to read it as soon as possible. In that way you will have read it in time to participate fully in the discussion of the book in June. The greatest pleasure and benefit of belonging to the AIA Archaeology Book Club come from totally plunging into the era as well as the narrative. The two forthcoming meetings will enable us to do just that together. To recall, The Hemlock Cup is an illuminating account by Bettany, an eminent British TV host and popular historian. Walter Isaacson, noted author, reviewer and chief executive of the Aspen Institute, describes it as “many books interlaced: a biography of Socrates; a gritty description of daily life in Athens; a vivid history of the Peloponnesian War and its aftereffects; and – as an unexpected delight – a guide to museums, archaeological digs and repositories of ancient artifacts . . . . At one point we travel with her (Hughes) to the rear of the Ashmolean Museum in Oxford, England, to study a scrap of papyrus – Fragment 4807 – in the Sackler Library. It contains some lines, apparently by Sophocles, casting light on what life may have been like during the Peloponnesian War.